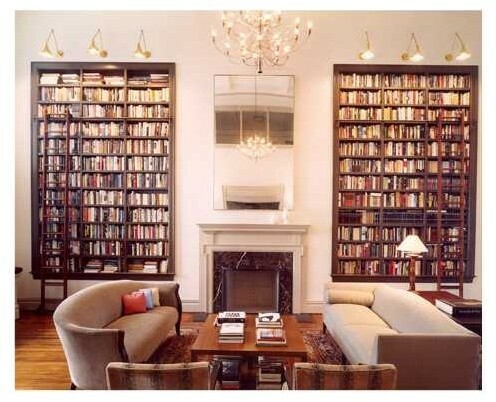 A library doesn’t have to be a room. It can be a hallway or nook. Just make sure a comfy seat and lots of books are present. If you weren’t paying attention, it’d be easy to overlook the fact that this library is done in neutral colors that the pops of color come from the books themselves. 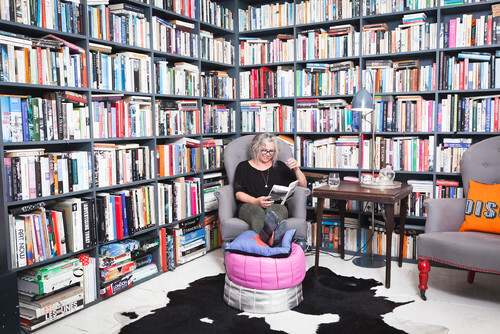 Modern chairs and ottomans keep these libraries fresh. 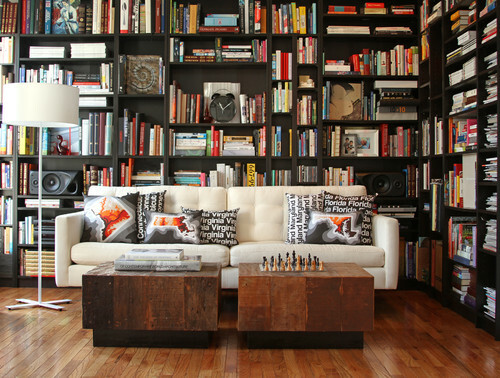 No need to designate an entire room to the library—you can have a respectable library as part of your living room. Bonus points to these rooms for using a ladder like you’d find in a classic library. This home library is made better by the DIY light fixture featuring book pages, tying the dining room to the library behind it. If you do your reading before turning in for the night, there’s no better place for a library than the bedroom. Want to make your library super modern? 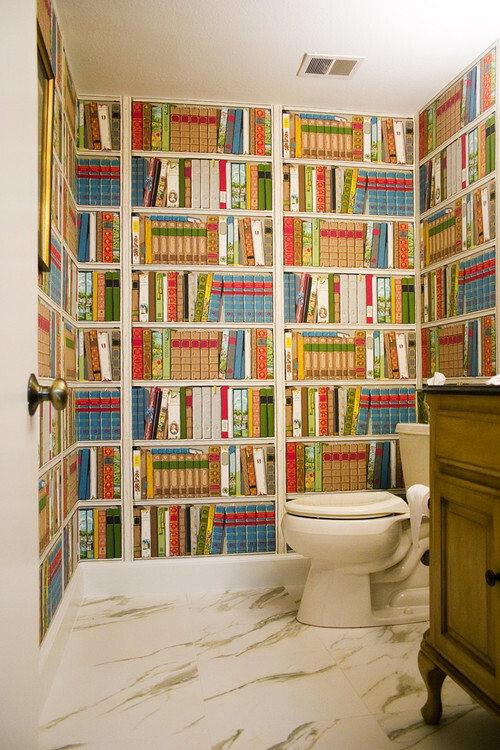 Don’t put any books in it and instead add a wallpaper to give the look of a library. Traditional Bathroom by Lake Mary Interior Designers & Decorators Angela Gutekunst Interiors, Inc. 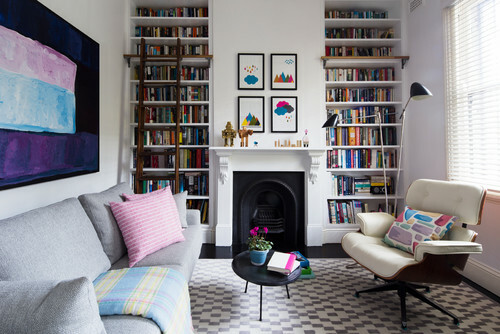 Working from home is made better by books, and lots of them, on well-styled shelves.